This week, Cliveden Conservation Conservator, Andrea Walker, talks us through the restoration of the arrow slits on the Folly Project. Arrow slits, also referred to as loopholes, arrow loops or bow loops, are the narrow vertical windows from which castle defenders would have launched arrows from a sheltered position. In a functioning castle, arrow slits were built to accommodate archers who launched arrows using the short bow, the crossbow and the longbow. In the Gothic Tower, they were built decorative elements. Their shape, and location on the face of a tower that receives the brunt of the weather, made them vulnerable to the elements and to the clawing feet of birds seeking a place to rest. An arrow slit showing the original bottom half now badly worn and the later restoration with Portland stone. Most of original clunch stones that made up the arrow slits was removed and replaced with a denser stone called Portland limestone. Because the replacements were put in as square units and didn’t age in the same way the surrounding clunch did, they stood out and detracted from the intended look of the tower. The stone from the arrow slits, removed. 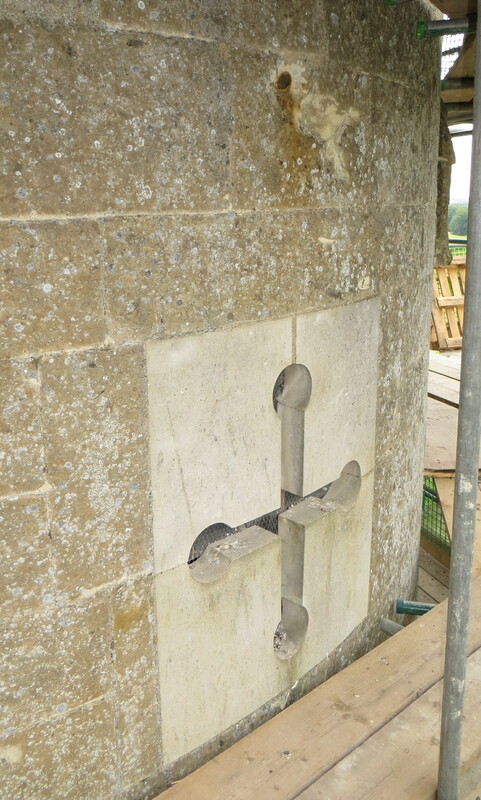 One of the Portland Stone arrow slits, once removed. In order to replace them, we’ve now cut all of them out and made sure we cut back to what would have been the original joint lines of the stones used to form the arrow slits: a “T” shape, rather than a square unit. 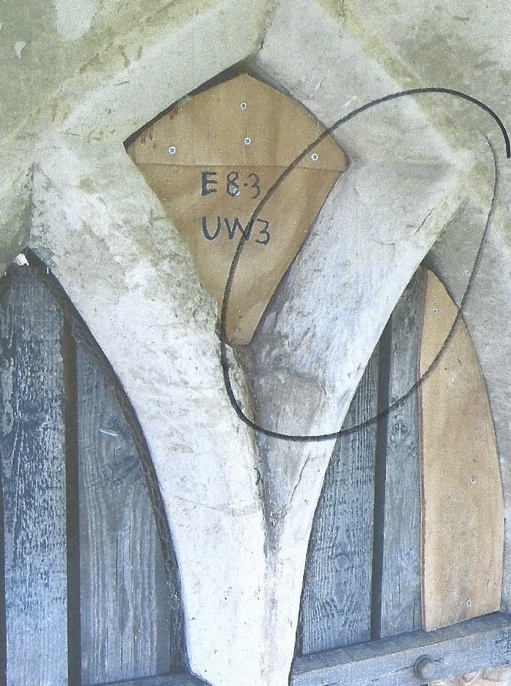 New clunch has been ordered and, once it’s in the hands of our masons, it will be cut to shape and given a radius (after all it is a round tower), before being fixed in position.